This article is about the New Zealand university. For other uses, see Canterbury University (disambiguation). The University of Canterbury (Māori: Te Whare Wānanga o Waitaha; postnominal abbreviation Cantuar. or Cant. for Cantuariensis, the Latin name for Canterbury) is New Zealand's second oldest university (after the University of Otago, itself founded four years earlier in 1869). It was founded in 1873 as Canterbury College, the first constituent college of the University of New Zealand. Its original campus was in the Christchurch Central City, but in 1961 it became an independent university and began moving out of its original neo-gothic buildings, which were re-purposed as the Christchurch Arts Centre. 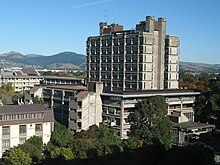 The move was completed on 1 May 1975 and the university now operates its main campus in the Christchurch suburb of Ilam and offers degrees in Arts, Commerce, Education (physical education), Engineering, Fine Arts, Forestry, Health Sciences, Law, Music, Social Work, Speech and Language Pathology, Science, Sports Coaching and Teaching. The university originated in 1873 in the centre of Christchurch as Canterbury College, the first constituent college of the University of New Zealand. It became the second institution in New Zealand providing tertiary-level education (following the University of Otago, established in 1869), and the fourth in Australasia. Its foundation professors arrived in 1874, namely, Charles Cook (Mathematics, University of Melbourne, St John's College, Cambridge), Alexander Bickerton (Chemistry and Physics, School of Mining, London), and John Macmillan Brown (University of Glasgow, Balliol College, Oxford). In 1933, the name changed from Canterbury College to Canterbury University College. In 1957 the name changed again to the present University of Canterbury. Until 1961, the university formed part of the University of New Zealand (UNZ), and issued degrees in its name. That year saw the dissolution of the federal system of tertiary education in New Zealand, and the University of Canterbury became an independent University awarding its own degrees. Upon the UNZ's demise, Canterbury Agricultural College became a constituent college of the University of Canterbury, as Lincoln College. Lincoln College became independent in 1990 as a full university in its own right. Over the period from 1961 to 1974, the university campus relocated from the centre of the city to its much larger current site in the suburb of Ilam. The neo-gothic buildings of the old campus became the site of the Christchurch Arts Centre, a hub for arts, crafts and entertainment in Christchurch. In 2004, the University underwent restructuring into four Colleges and a School of Law, administering a number of schools and departments (though a number of departments have involvement in cross-teaching in numerous academic faculties). For many years the university worked closely with the Christchurch College of Education, leading to a full merger in 2007, establishing a fifth College. In 2012 the School of Law merged with the Business School to form the College of Business and Law. In September 2011, plans were announced to demolish some University buildings that were damaged from an earthquake. In the months following the earthquake, the University lost 25 per cent of its first-year students and 8 per cent of continuing students. The number of international students, who pay much higher fees and are a major source of revenue, dropped by 30 per cent. By 2013, the University had lost 22 per cent of its students. However, a record number of 886 PhD students are enrolled at the University of Canterbury as of 2013. Other New Zealand universities, apparently defying an informal agreement, launched billboard and print advertising campaigns in the earthquake-ravaged city to recruit University of Canterbury students who are finding it difficult to study there. In October 2011, staff were encouraged to take voluntary redundancies. Student numbers are now steadily on the rise, with a 4.5% increase in students enrolled from 2013 to 2016. International numbers are also increasing, nearing pre-earthquake figures at 1,134 enrolled in 2016. In March 2016, Vice-Chancellor Dr Rod Carr said in The Press newspaper: "In 2014, they wanted to leave Christchurch and went to Wellington, Otago and into the workforce. Now we're retaining Christchurch school leavers and we're getting our fair share of provincial students, as well as attracting greater numbers from the Auckland region. Living on or near the UC campus, and having a lifestyle that can take you from lectures to skifields in 90 minutes or the beach in 20 minutes, is much more appealing and affordable than living in Auckland." In 2013 the New Zealand Government agreed to provide $260m to support the University's rebuild programme. In January 2017, the University of Canterbury released its campus master plan – 50 building and landscape projects proposed over three stages by 2045, the cost could exceed $2bn. In a comment to The Press, Rod Carr said that the plans were proof the university was moving away from the falling enrolments post-earthquake. At 31 December 2016, University has 15,564 students enrolled. See also: the categories Chancellors of the University of Canterbury and Vice-Chancellors of the University of Canterbury. The university was first governed by a board of governors (1873–1933), then by a college council (1933–1957), and since 1957 by a university council. The council is chaired by a chancellor. The Council includes representatives from the faculties, students and general staff, as well as local industry, employer and trade union representatives. The original composition of the board of governors was defined in the Canterbury College Ordinance 1873, which was passed by the Canterbury Provincial Council and named 23 members who might serve for life. Initially, the board was given power to fill their own vacancies, and this power transferred to graduates once their number exceeded 30. At the time, there were discussions about the abolition of provincial government (which did happen in 1876), and the governance structure was set up to give board members "prestige, power and permanence", and "provincial authority and its membership and resources were safely perpetuated, beyond the reach of grasping hands in Wellington." Original members of the Board of Governors were: Charles Bowen, Rev James Buller, William Patten Cowlishaw, John Davies Enys, Charles Fraser, George Gould Sr, Henry Barnes Gresson, William Habens, John Hall, Henry Harper, John Inglis, Walter Kennaway, Arthur C. Knight, Thomas William Maude, William Montgomery, Thomas Potts, William Rolleston, John Studholme, Henry Tancred, James Somerville Turnbull, Henry Richard Webb, Joshua Williams, and Rev William Wellington Willock. Professor Roy Sharp assumed the position of Vice-Chancellor on 1 March 2003. In May 2008 he announced his imminent resignation from the position, following his acceptance of the chief executive position at the Tertiary Education Commission (TEC) which he took up on 4 August 2008. The then current Deputy Vice-Chancellor, Professor Ian Town, assumed the role of acting Vice-Chancellor on 1 July 2008. On 15 October 2008 the university announced that Rod Carr, a former banker and the CEO of a local software company, would begin a five-year appointment as Vice-Chancellor on 1 February 2009. Council member and former Pro-Chancellor, Rex Williams, became Chancellor in 2009. Council member John Wood became the new Pro-Chancellor. On 1 January 2012, Wood became Chancellor after Williams retired from the role. The University has a main campus of 76 hectares (190 acres) at Ilam, a suburb of Christchurch about 5 kilometres (3.1 mi) from the centre of the city. Adjacent to the main campus stands the University's College of Education, with its own sports-fields and grounds. The University maintains three libraries, with the Central Library (Māori: Te Puna Mātauraka o Waitaha) housed in the tallest building on campus, the 11-storey Puaka-James Hight building. The University's College of Education, Health and Human Development maintains additional small campuses in Nelson, Tauranga and Timaru, and "teaching centres" in Greymouth, New Plymouth, Rotorua and Timaru. The University has staff in regional information offices in Nelson, Timaru, and Auckland. The University of Canterbury has ten halls of residence housing around 2,279 students. The largest of these are Ilam Apartments and University Hall with 845 residents and 539 residents, respectively. Six of these halls (Ilam Apartments, University Hall, Kirkwood Avenue Hall, Waimairi Village, Sonoda Village and Hayashi Village) are managed by UC Accommodation, a subsidiary of Campus Living Villages, while the university maintains ownership of the property and buildings. Sonoda Christchurch Campus has a close relationship with Sonoda Women's University in Amagasaki, Japan. Bishop Julius, College House and Rochester and Rutherford are run independently. New Zealand Prime Minister Jacinda Ardern opened the Ernest Rutherford Regional Science and Innovation Centre in 2018. Kaikoura Field Station – Kaikoura represents an important transition zone for flora and fauna, particularly in the marine environment, with Kowhai bush and associated rich bird life close by. The University and its project-partners also operate an additional field-station in the Nigerian Montane Forests Project – this field station stands on the Ngel Nyaki forest edge in Nigeria. The Department of Physics and Astronomy also has involvement in the Southern African Large Telescope and is a member of the IceCube collaboration which is installing a neutrino telescope at the South Pole. There are three libraries on campus each covering different subject areas. Central Library (Māori: Te Puna Mātauraka o Waitaha) – is housed in the Puaka-James Hight Building. Originally named after former Canterbury professor James Hight. The building was renamed Puaka-James Hight in 2014, after the brightest star in the constellation Orion, to reflect the growing strength of UC’s relationship with Ngāi Tahu and the mana of Te Ao Māori at the heart of the University’s campus. The Central Library has collections that support research and teaching in Humanities, Social Sciences, Law, Commerce, Music, Fine Arts and Antarctic Studies. EPS Library (Engineering and Physical Sciences Library, Māori: Kā Puna Pūkahataka me te Pūtaiao) – Supports research and teaching in Engineering, Forestry and Sciences. Macmillan Brown Library (Māori: Te Puna Rakahau o Macmillan Brown) – is a research library, archive, and art gallery that specializes in collecting items related to New Zealand and Pacific Islands history. It holds over 100,000 published items including books, audio-visual recordings, and various manuscripts, photographs, works of art, architectural drawings and ephemera. The Macmillan Brown Library's art collection also has over 5,000 works, making it one of the largest collections in the Canterbury Region. The library is named after John Macmillan Brown, a prominent Canterbury academic who helped found the library. There are three major world university rankings. In the Academic Ranking of World Universities (ARWU) 2017, UC was ranked in the world's top 500 universities. In 2017/18 QS World University Rankings ranked the University of Canterbury 214th overall in the world, and the third highest ranked university in New Zealand. Its individual global faculty rankings for 2015/2016 were: 146th in Arts & Humanities, 161st in Engineering & IT, 211th in Natural Sciences, and 94th in Social Sciences and Management. By 2018, these faculty rankings had all fallen considerably, and as of the release of the QS 2019 World University Rankings, both ARWU and QS had placed UC squarely in the middle of the pack of NZ's eight universities at 4th place overall. In the 2016–2017 Times Higher Education World University Rankings, UC was ranked in the world's top 400 universities, up from being in the world's top 500 universities in 2015. By contrast, ARWU dropped UC from the top 400 universities in 2016 to only the top 500 in 2017. The University was the first in New Zealand to have been granted five stars by QS Stars. Unlike the QS World University rankings, QS Stars ratings are only given to universities that pay a fee; the programme is designed to give "those institutions that are not highly ranked or do not appear in the rankings an opportunity to reach out to their prospect students, to stand out and to be recognised for their excellence." The University of Canterbury Students' Association (UCSA) operates on campus with its own radio station (RDU) and magazine (Canta). The Association also runs two bars and several cafes around campus. The popular on-campus bar, "The Foundry", known as "The Common Room" from 2005, has reverted to its former name as promised by 2008 USCA president, Michael Goldstein. Prior to earthquakes in 2010 and 2011, the UCSA also ran the 430-seat Ngaio Marsh Theatre in the now demolished UCSA building. The University has over 140 academic, sporting, recreational and cultural societies and clubs. The most prominent of these include the Student Volunteer Army, the University of Canterbury Engineering Society (ENSOC), the Law Society (LAWSOC), the Commerce Society (UCom), as well as the largest non-faculty clubs such as PongSoc (University of Canterbury Pong Society), Motosoc (Motorsports Society), BYCSOC (Backyard Cricket Society), CUBA (Canterbury University Boardriders' Association), CurrySoc, Opsoc, The Gentlemen's Club, and UC Bike. CUSSC (Canterbury University Snow Sports Club) is the only university club in New Zealand to own a ski field lodge, located at Temple Basin Ski Field. The club runs many events to raise funds for maintenance of their lodge. The University of Canterbury Drama Society (Dramasoc) achieved fame for its 1942–1969 Shakespeare productions under Dame Ngaio Marsh, but regularly performs as an active student- and alumni-run arts fixture in the small Christchurch theatre-scene. The musical theatre society, Musoc, engages in comparable activities. One major student tradition, the Undie 500, involved an annual car-rally from Christchurch to Dunedin run by ENSOC. The rules required only the use of a road-legal car costing under $500 with a sober driver. 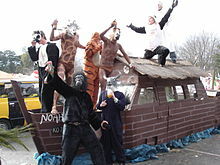 The 2007 event gained international news coverage (including on CNN and BBC World) when it ended in rioting in the student quarter of Dunedin and in North East Valley. ENSOC cancelled the planned 2008 event. The Undie 500 was replaced by the Roundie 500 in 2011. This event has the same principles but follows a route through rural Canterbury, returning to Christchurch the same day. With the dissolution of the University of New Zealand, the newly independent University of Canterbury devised its own coat of arms, blazoned: "Murrey a fleece argent, in base a plough or, and on a chief wavy or an open book proper bound murrey, edged and clasped or between a pall azure charged with four crosses formy fitchy or and a cross flory azure." A explanation of the arms appears on the University website, where it's explained that the fleece symbolises the pastoral, and the plough at the base the agricultural background of the province of Canterbury. The bishop's pall and the cross flory represent Canterbury's ecclesiastical connections, and the open book denotes scholarship. As an institution of learning, the University's coat of arms does not have a helmet, crest or mantling. According to the UC Annual Report, at 31 December 2016 the University has a total of 17,299 students (14,070 equivalent full-time students). 10,965 of these are undergraduates, and 1,704 are international students. UC has a total of 777 academic faculty staff. Following the earthquakes, the number of students enrolled at UC fell from 18,783 during 2010 to 14,725 during 2014, though the number of new enrolments increased in 2014. In 2016 enrolled student numbers rose to 15,564. One resignation, which occurred in 2003, was by a staff member who complained about restrictions on academic freedom. In 2006, New Zealand's Green Party suggested staff eliminations we based on the University's profit targets rather than merit. The University eliminated over 100 jobs in 2010, the year prior to the earthquakes. In 2007, New Zealand universities including the University of Canterbury were accused of taking an increasingly litigious approach to managing its staff and, despite having an array of human-resources managers, routinely engaged lawyers and employment advocates to handle even minor matters. The University's 2006 financial reports list $836,000 as having been paid out as compensation for employment-relationship problems. However, in its 2013 annual report (two years after the 2011 Canterbury Earthquakes), it is stated that the university spent $4.66 million in 2012 and 2013 alone on expenses associated with faculty and staff layoffs (severance pay, legal costs, etc.). In 2014, one faculty member chosen to receive a teaching award from the University of Canterbury Students’ Association refused to accept the award because of his concerns about student racism and sexism at UC. From 16–21 March 2015 the University of Canterbury held its first ever Diversity Week, with over 2,000 staff and students attending 22 events focused on the theme of ‘everyone belongs’. Events covered a wide range of diversity themes including gender, sexuality, disability, religion, biculturalism, world culture and research. UCSA clubs contributed to a number of high-impact events including a world market with international food and cultural performances, a poetry slam and an open-mic forum. Concerning the impact of President Trump's travel ban in January 2017 on students, Vice-Chancellor Rod Carr was reported to have told staff and students "We support institutions, policies and practices that protect and promote individuals on the basis of who they are and what they do, not on the basis of the colour of their skin, their sexuality, religious beliefs or who their parents were." 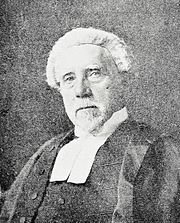 William Alfred Orange – Anglican churchman and founder of Latimer House. Since 1962, the University of Canterbury has been awarding honorary doctorates. In many years, no awards were made, but in most years, multiple doctorates were awarded. The highest number of honorary doctorates was awarded in 1973, when there were seven recipients. ^ a b c d e University of Canterbury – UC Facts Archived 7 March 2012 at the Wayback Machine. Retrieved on 5 June 2014. ^ "The Star 04-05-17". issuu. Retrieved 12 May 2017. ^ Gardner, W. J., Beardsley, E. T., & Carter, T. E. (1973). Christchurch: University of Canterbury. ^ "The Story of New Zealand Universities". Archived from the original on 6 August 2014. Retrieved 4 August 2014. ^ "History Lincoln University". Lincoln.ac.nz. Retrieved 8 June 2018. ^ "2007 Merger". Canterbury University. Canterbury University. Retrieved 20 June 2017. ^ "About – College of Business and Law – University of Canterbury – New Zealand". Buslaw.canterbury.ac.nz. Retrieved 12 May 2017. ^ Law, Tina (28 September 2011). "Two uni buildings for demolition". The Press. Retrieved 26 November 2011. ^ "New Zealand universities cut staff and courses". ^ Law, Tina (4 October 2011). "Canterbury Uni invites staff to resign". The Press. Retrieved 26 November 2011. ^ "Canterbury University a 'ghost-town'". The Press. 11 May 2013. Retrieved 6 October 2013. ^ Brook, Kip (13 May 2013). "Record number of PhD students enrolled at UC". University of Canterbury. Retrieved 6 October 2013. ^ "NZ unis warned not to poach from Chch". Television New Zealand. NZN. 16 September 2011. Archived from the original on 10 June 2015. Retrieved 14 September 2015. ^ "Canterbury crumbles as enrolments decline". The Australian. AAP. 4 October 2011. Retrieved 26 November 2011. ^ a b "Annual reports | Leadership and Governance | University of Canterbury". The University of Canterbury. Archived from the original on 5 May 2017. Retrieved 12 May 2017. ^ "Canterbury universities begin bounce back after earthquakes". Stuff. Retrieved 1 June 2017. 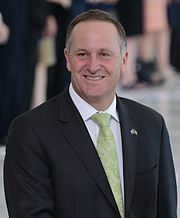 ^ "Govt to provide $260m to University of Canterbury rebuild". The Beehive. Retrieved 1 June 2017. ^ a b "University of Canterbury's 30-year plan to create 'little city inside a larger city'". Stuff. Retrieved 1 June 2017. ^ a b "University of Canterbury Annual Report 2018" (PDF). ^ a b c d e Gardner et al 1973, p. 451. ^ "The University Council – Overview". University of Canterbury. Archived from the original on 3 November 2013. Retrieved 7 October 2013. ^ "University of Canterbury Charter 2003–2010" (PDF). 24 December 2003. p. 14. Retrieved 7 October 2013. ^ "The Canterbury College Ordinance, 1873". Wellington: Victoria University of Wellington Library. Retrieved 6 October 2013. ^ Gardner et al 1973, pp. 38–39. ^ Gardner et al 1973, p. 39. ^ a b c Gardner et al 1973, p. 452. ^ Scholefield 1940a, p. 118. ^ "Obituary". The Press. XL (5998). 3 December 1884. p. 3. Retrieved 6 October 2013. ^ Cyclopedia Company Limited (1902). "The Rev. James Buller". The Cyclopedia of New Zealand : Canterbury Provincial District. Christchurch: The Cyclopedia of New Zealand. Retrieved 6 October 2013. ^ Scholefield 1940a, p. 179. ^ Scholefield 1940a, pp. 231f. ^ Scholefield 1940a, pp. 311f. ^ Scholefield 1940a, pp. 322f. ^ Scholefield 1940a, p. 426. ^ Scholefield 1940a, p. 459. 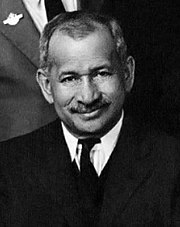 ^ "Mr A. C. Knight". The Press. LXII (12377). 16 December 1905. p. 12. Retrieved 6 October 2013. ^ Scholefield 1940b, pp. 74f. ^ Scholefield 1940b, p. 404. ^ "Obituary". Star (4400). 1 June 1882. p. 4. Retrieved 6 October 2013. ^ "University News – Communications and Development – University of Canterbury". Comsdev.canterbury.ac.nz. 11 February 2003. Retrieved 10 September 2010. ^ "Tertiary Education Commission". Tertiary Education Commission. Retrieved 10 September 2010. ^ Colman, Jeanette, ed. (9 May 2008). "Sharp named new chief executive of Tertiary Education Commission" (PDF). Chronicle. 43 (7): 1. Retrieved 6 October 2013. ^ "TEC appoints new Chief Executive" (Press release). Tertiary Education Commission. 2 May 2008. Archived from the original on 13 February 2009. Retrieved 6 October 2013. ^ "University News – Communications and Development – University of Canterbury – New Zealand". Comsdev.canterbury.ac.nz. 15 October 2008. Retrieved 10 September 2010. ^ a b c d "University of Canterbury announces new Chancellor" (Press release). University of Canterbury. 2 December 2011. Retrieved 7 October 2013. ^ "The Late Hon. H. B. Gresson". The Press. LVIII (10882). 5 February 1901. p. 6. Retrieved 7 October 2013. ^ Scholefield 1940b, pp. 47f. ^ Cyclopedia Company Limited (1903). "Primary Schools". The Cyclopedia of New Zealand : Canterbury Provincial District. Christchurch: The Cyclopedia of New Zealand. Retrieved 7 October 2013. ^ "Obituary". The Evening Post. CXXXIV (143). 14 December 1942. p. 3. Retrieved 7 October 2013. ^ Gardner et al 1973, p. 178. ^ Gardner et al 1973, p. 192. ^ Gardner et al 1973, p. 183. ^ Gardner et al 1973, p. 279. ^ a b c d e f g "Chronology". University of Canterbury. Archived from the original on 16 October 2013. Retrieved 11 October 2013. ^ Falconer, Phoebe (26 May 2007). "Obituary: Dame Jean Herbison". The New Zealand Herald. Retrieved 28 January 2013. ^ "About the Commissioners". Canterbury Regional Council. 7 May 2010. Archived from the original on 10 June 2015. Retrieved 7 October 2013. ^ Halls of Residence options – Accommodation – University of Canterbury – New Zealand. Canterbury.ac.nz. Retrieved on 17 August 2013. ^ "Village Locations | CLV Corporate". CLV Corporate. Retrieved 12 May 2017. ^ a b c d e f "UC Accommodation". Canterburyuv.co.nz. Retrieved 10 September 2010. ^ "Kirkwood Avenue Hall | University of Canterbury". The University of Canterbury. Retrieved 12 May 2017. ^ "Waimairi Village | University of Canterbury". The University of Canterbury. Retrieved 12 May 2017. ^ "Other Projects – Learning Resources – University of Canterbury – New Zealand". Canterbury.ac.nz. Archived from the original on 26 August 2017. Retrieved 12 May 2017. ^ "Field Facilities Centre – University of Canterbury – New Zealand". Ffc.canterbury.ac.nz. Retrieved 10 September 2010. ^ "Cass Field Station – Field Facilities Centre – University of Canterbury – New Zealand". Ffc.canterbury.ac.nz. Retrieved 10 September 2010. ^ "Harihari Field Station – Field Facilities Centre – University of Canterbury – New Zealand". Ffc.canterbury.ac.nz. Retrieved 10 September 2010. ^ "Westport Field Station – Field Facilities Centre – University of Canterbury – New Zealand". Ffc.canterbury.ac.nz. Retrieved 10 September 2010. ^ "Kaikoura Field Station – Field Facilities Centre – University of Canterbury – New Zealand". Ffc.canterbury.ac.nz. Retrieved 12 May 2017. ^ "Nigerian Montane Forest Project – Biological Sciences – University of Canterbury – New Zealand". Biol.canterbury.ac.nz. Retrieved 10 September 2010. ^ Mt John – Physics and Astronomy – University of Canterbury – New Zealand Archived 17 May 2011 at the Wayback Machine. Phys.canterbury.ac.nz. Retrieved on 17 August 2013. ^ Birdlings Flat – Physics and Astronomy – University of Canterbury – New Zealand Archived 29 October 2017 at the Wayback Machine. Phys.canterbury.ac.nz. Retrieved on 17 August 2013. ^ Atmospheric Physics Group Field Stations. .phys.canterbury.ac.nz (22 August 2008). Retrieved on 17 August 2013. ^ "Ring Laser Project Webpage". 3 July 2014. Archived from the original on 3 July 2014. Retrieved 18 June 2015. ^ SALT – Physics and Astronomy – University of Canterbury – New Zealand. Phys.canterbury.ac.nz. Retrieved on 17 August 2013. ^ Research – Physics and Astronomy – University of Canterbury – New Zealand. Phys.canterbury.ac.nz. Retrieved on 17 August 2013. ^ IceCube Neutrino Observatory. Icecube.wisc.edu. Retrieved on 17 August 2013. ^ a b c "University of Canterbury – Academic Ranking of World Universities – 2017 – Shanghai Ranking – 2017". Shanghairanking.com. Retrieved 8 June 2018. ^ "University of Canterbury". Topuniversities.com. 16 July 2015. Retrieved 8 June 2018. ^ "University of Canterbury". Times Higher Education (THE). Retrieved 8 June 2018. ^ "QS World University Rankings 2016". 25 August 2016. Retrieved 29 September 2016. ^ Field, Michael (2 June 2011). "NZ universities sliding down world league". Stuff.co.nz. Retrieved 18 June 2015. ^ "QS World University Rankings by Faculty". Topuniversities.com. Retrieved 22 January 2017. ^ "QS World University Rankings by Subject 2018". Topuniversities.com. Retrieved 8 June 2018. ^ a b "World University Rankings – 2017 – New Zealand Universities in Top 500 universities – Academic Ranking of World Universities – 2017 – Shanghai Ranking – 2017". Shanghairanking.com. Retrieved 8 June 2018. ^ "QS World University Rankings 2019". Topuniversities.com. 29 May 2018. Retrieved 8 June 2018. ^ "World University Rankings". 17 August 2016. Retrieved 29 September 2016. ^ a b "World University Rankings". Times Higher Education. Retrieved 25 October 2015. ^ "Canterbury University gets top marks". The Press. 30 September 2011. Retrieved 26 November 2011. ^ "Selos de Qualidade no Ensino Superior" (PDF). Aep.tecnico.ulisboa.pt. Retrieved 22 January 2017. 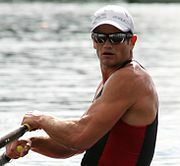 ^ David Jobbins (25 July 2012). "QS defends paid-for gold star addition to rankings". University World News. Retrieved 22 January 2017. ^ "University of Canterbury | Academic Ranking of World Universities – 2016 | Shanghai Ranking – 2016". Shanghairanking.com. Retrieved 12 May 2017. ^ "Academic Ranking of World Universities". Academic Ranking of World Universities 2015. Shanghai Ranking Consultancy. ^ "Academic Ranking of World Universities". Academic Ranking of World Universities 2014. Shanghai Ranking Consultancy. Archived from the original on 19 January 2015. ^ "Academic Ranking of World Universities". Academic Ranking of World Universities 2013. Shanghai Ranking Consultancy. ^ "Academic Ranking of World Universities". Academic Ranking of World Universities 2012. Shanghai Ranking Consultancy. ^ "Academic Ranking of World Universities". Academic Ranking of World Universities 2011. Shanghai Ranking Consultancy. ^ "Academic Ranking of World Universities". Academic Ranking of World Universities 2010. Shanghai Ranking Consultancy. ^ "QS World University Rankings 2018". Top Universities. 5 June 2017. Retrieved 7 June 2017. ^ "QS World University Rankings 2016". Top Universities. 25 August 2016. Retrieved 12 May 2017. ^ "QS World University Rankings® 2015/16". Retrieved 9 April 2016. ^ "QS World University Rankings® 2014/15". Retrieved 23 September 2014. ^ "QS World University Rankings 2013". Retrieved 23 September 2014. ^ "QS Top Universities 2012". Retrieved 29 October 2012. ^ "QS Top Universities 2011". Archived from the original on 30 September 2011. Retrieved 14 September 2011. ^ "QS Top Universities 2010". Retrieved 14 September 2010. ^ a b All Study Destinations Archived 22 January 2012 at the Wayback Machine. Top Universities. Retrieved on 17 August 2013. ^ "QS World University Rankings 2007". THES. Retrieved 14 September 2010. ^ "QS World University Rankings 2006". THES. Retrieved 14 September 2010. ^ "QS World University Rankings 2005". THES. Retrieved 14 September 2010. ^ "World University Rankings". Timeshighereducation.com. 18 August 2017. Retrieved 8 June 2018. ^ "World University Rankings". Times Higher Education (THE). 17 August 2016. Retrieved 12 May 2017. ^ "World University Rankings". Times Higher Education. Retrieved 26 October 2015. ^ "University of Canterbury – The Times Higher University Rankings 2012–2013". Retrieved 29 October 2012. ^ "Top 400 – The Times Higher University Rankings 2011–2012". Retrieved 5 October 2011. ^ "The University of Canterbury Students' Association". UCSA. Retrieved 10 September 2010. ^ — University of Canterbury Students' Association. Ucsa.org.nz. Retrieved on 17 August 2013. ^ "BETHERE.CO.NZ – Venues – Venue Info for Ngaio Marsh Theatre". 2 November 2013. Archived from the original on 2 November 2013. Retrieved 18 June 2015. ^ Ngaio Marsh Theatre, Christchurch City – Stuff Events. Events.stuff.co.nz. Retrieved on 17 August 2013. ^ Clubs — University of Canterbury Students' Association. Ucsa.org.nz. Retrieved on 17 August 2013. ^ "Canterbury University Snow Sports Club — University of Canterbury Students' Association". ucsa.org.nz. Retrieved 18 June 2015. ^ "Welcome to Musoc!". Musoc.org.nz. Retrieved 10 September 2010. ^ "University of Canterbury Engineering Society Inc. (ENSOC)". 7 March 2015. ^ "History of the Coat of Arms". University of Canterbury. Retrieved 8 June 2017. ^ NEW ZEALAND: Academic freedom. Wais.stanford.edu. Retrieved on 17 August 2013. ^ Fudge1. Adelaideinstitute.org. Retrieved on 17 August 2013. ^ "Don't sack Canterbury academics – Greens – Scoop News". Scoop.co.nz. Retrieved 22 January 2017. ^ New Zealand universities cut staff and courses – World Socialist Web Site. 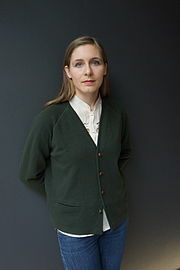 Wsws.org (8 September 2011). Retrieved on 17 August 2013. ^ a b AUS Tertiary Update | Scoop News. Scoop.co.nz (11 October 2007). Retrieved on 17 August 2013. ^ "University of Canterbury 2013 Annual Report" (PDF). Retrieved 15 May 2016. ^ "University of Canterbury lecturer returns award over racism". 3 News. 9 October 2014. ^ Veer, Ekant. "Why I Returned My 2014 Lecturer of the Year (College of Business and Law) Award". ^ "UC Diversity Week 2015 | University of Canterbury". The University of Canterbury. Archived from the original on 22 May 2017. Retrieved 1 June 2017. ^ "University of Canterbury issues advice to students after Trump's travel ban". Stuff. Retrieved 1 June 2017. ^ Day, James (16 March 2019). "Former Corvallis man killed in New Zealand terror attacks". Gazette Times. Retrieved 18 March 2019. ^ "Honorary Graduates" (PDF). University of Canterbury. Archived from the original (PDF) on 4 March 2015. Retrieved 14 June 2014. Gardner, W. Jim; Beardsley, E. T.; Carter, T. E. (1973). 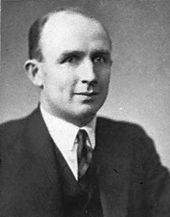 Phillips, Neville Crompton (ed.). A History of the University of Canterbury, 1873–1973. Christchurch: University of Canterbury. Scholefield, Guy, ed. (1940a). A Dictionary of New Zealand Biography : A–L (PDF). I. Wellington: Department of Internal Affairs. Retrieved 6 October 2013. Scholefield, Guy, ed. (1940b). A Dictionary of New Zealand Biography : M–Addenda (PDF). II. Wellington: Department of Internal Affairs. Retrieved 6 October 2013. Wikimedia Commons has media related to University of Canterbury.